A leader by example, Harpreet Dhillon inspired students to create positive social change in both their local communities and around the world. 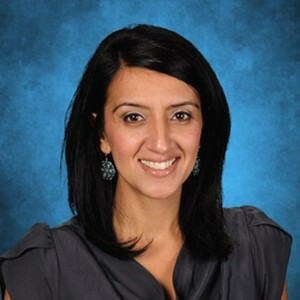 Earning her Bachelor of Education from University of British Columbia in 2000, Dhillon taught sixth grade at Cindrich Elementary School in Surrey, BC. While coaching volleyball, basketball or track and field, she also undertook several initiatives to enrich her students’ lives, and to show them the joy of enriching the lives of others. In 2009, Dhillon started Cindrich Elementary’s WE team, part of the comprehensive service learning program We Act. The program empowers students to participate in local and global issues. Each year, Dhillon and twenty students in the sixth and seventh grades adopt a village in a developing country. They have raised thousands of dollars to improve the lives of those in their adopted communities, through education, health, sanitation, and alternative income projects. Dhillon was also a driving figure behind Cindrich’s Kindness Project. She designed “kindness cards” and, along with her students, began surprising staff and community members with random acts of kindness. In total, over 500 kindness cards spread throughout the school, the community, and internationally. The cards were individually numbered, and the journey of each card continues to be tracked on Dhillon’s blog. Additionally, Dhillon organizes the annual “Kids Change” program at Cindrich through the Make-A-Wish Foundation. Students work year-round earning money to help grant a special wish for a sick child. Despite being classified as an inner city school, Cindrich students raise thousands of dollars for the foundation each year. In recognition of her efforts, Dhillon was awarded the UBC Alumni Teacher Award in 2013. Dhillon was also recognized by the Surrey Food Bank for leading Cindrich Elementary to Top Fundraising School in 2012, and in the same year, the Surrey-North Delta Leader awarded her the Community Leader Award of Top Honour Teacher. Dhillon currently serves as a member of the UBC Faculty of Education’s External Advisory Board to the Dean. Dhillon now works at Goldstone Park Elementary where she is part of the team creating the school culture for the brand new school. She has implemented a WE team and has found opportunities for her students to connect with local organizations such as the Surrey Food Bank and Oak Avenue Neighbourhood Hub. She continues fundraising for her Team goal to build a school in Ecuador.